Beautifully restored fishermen’s cottage and former artist's studio situated in the leafy corner of South Fremantle, Western Australia. In the cooler months, the cottage is heated by a gas pot belly and a 'Victorian' open fireplace, the studio has reverse cycle aircon and a gas heater. Coral Street Cottage is nestled in the leafy corner of South Fremantle, a suburb known for its maritime history and architecture. This charming building is one of three remaining fishermen’s cottages built in the late 1890s. It features high ceilings, a bay window and a ‘Victorian’ fireplace, all of which add to the unique character of this workers’ cottage. 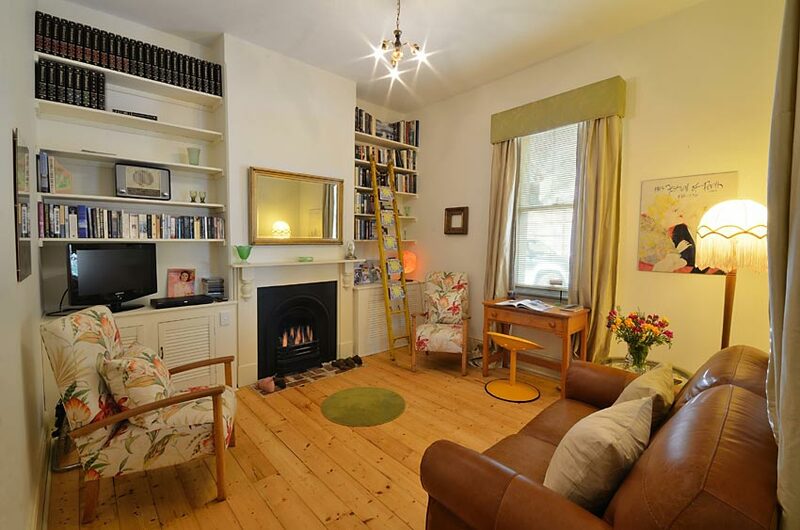 Coral Street Cottage is beautifully furnished and well equipped. The front living room has a stylish leather lounge, LCD TV (including Foxtel) and a wonderful collection of books whilst the back opens onto a private courtyard garden, the perfect spot for alfresco dining. The cottage has one bedroom with a queen size bed and a single mattress for a child which is available upon request. For your convenience, there is a fully equipped kitchen with the original wood stove as well as modern cooking facilities and laundry facilities. To welcome you to the property, you will receive a complimentary bottle of Western Australian wine and a gourmet breakfast hamper. Coral Street Cottage is a rustic yet charming retreat ideally suited to couples. The Silver Street Studio and residence offers seclusion and serenity; an ambient charm which is hard to beat. It is the perfect retreat in which to relax whilst being within instant reach of cafes, the beach, restaurants, galleries and ‘all things Fremantle’. Located midway between Fremantle ‘proper’ and beautiful South Beach, the Studio is ideally situated near the coast and all the facilities South Freo's culinary hub has to offer. Originally built as an artist’s space and gallery, the building is a well known South Fremantle icon which carries many a story within its walls. On arrival, one enters the property from the laneway via a small ‘hobbit’ door. 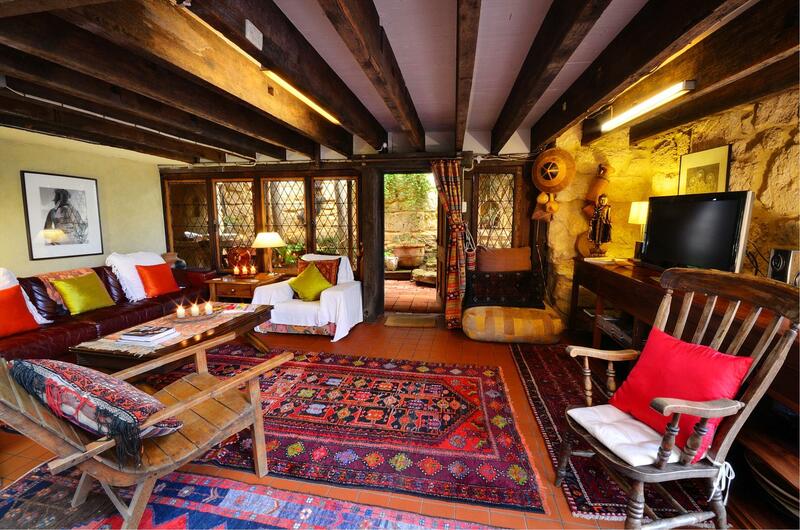 This sits within a larger ‘medieval’ gate supported by high limestone walls which hide a lush private courtyard. This garden is shaded in the summer by a plane tree, a poinciana, a palm, an olive tree, a weeping mulberry and a grape vine which hangs from the pergola. Huge glass sliding doors connect this leafy outdoor area to the main living space which is well equipped, beautifully furnished and very comfortable. The upper level, originally used as a ceramics studio, is reached by a sculptural steel staircase which opens into the bedroom where a queen-size bed is fitted with quality bedding and fine linen sheets. A mezzanine walkway connects to the bathroom/ dressing room. This space leads onto the north facing veranda which now houses a recently restored, fully plumbed, four claw bath! The former kiln room, to the left, is now a tranquil meditation / reading space. The Studio is not suitable for children. 30 minute drive from Perth Airport. 26 minute drive from Perth’s CBD. 4 minute drive from Fremantle’s CBD. Non-refund of deposit if cancelled at any stage or at owner’s discretion. One bedroom with queen bed. An additional single bed or cot is available on request. Continental breakfast provisions for first morning and hamper included. Queen bed with bedding and fine linen provided. Cot and linen available for children on request.